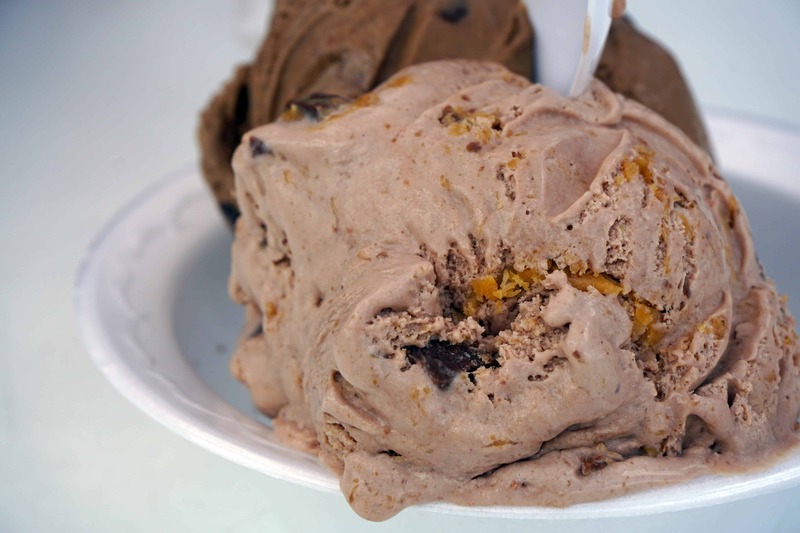 In Denver, you might as well consider ice cream its own food group. 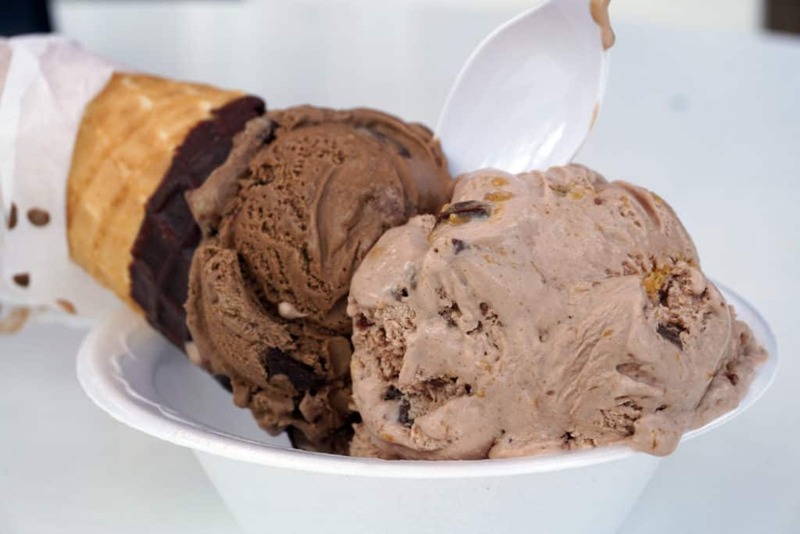 The abundance of ice cream shops is almost overwhelming, but that’s why we’re here! 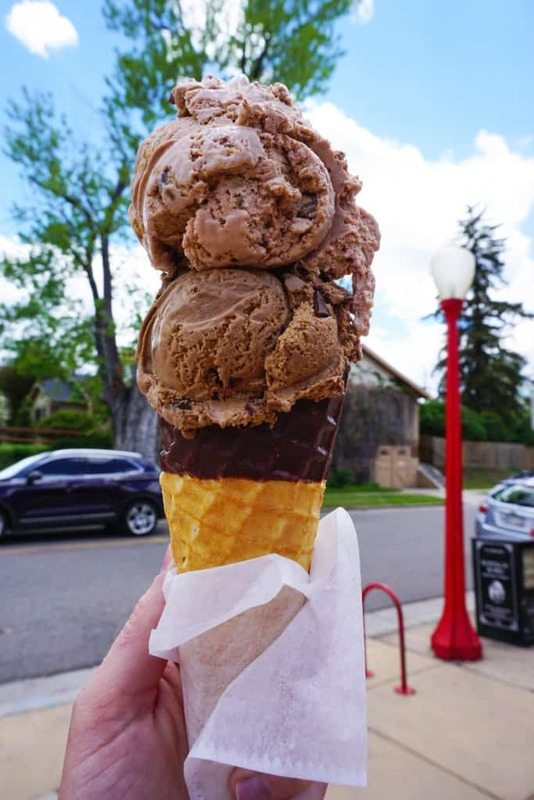 If you’re visiting for the weekend or are looking for one of best and oldest ice cream shops in town, you’ll have to stand in line at Bonnie Brae Ice Cream. And, yes, there is almost always a line out the door when you visit. It is well worth the wait, I promise! 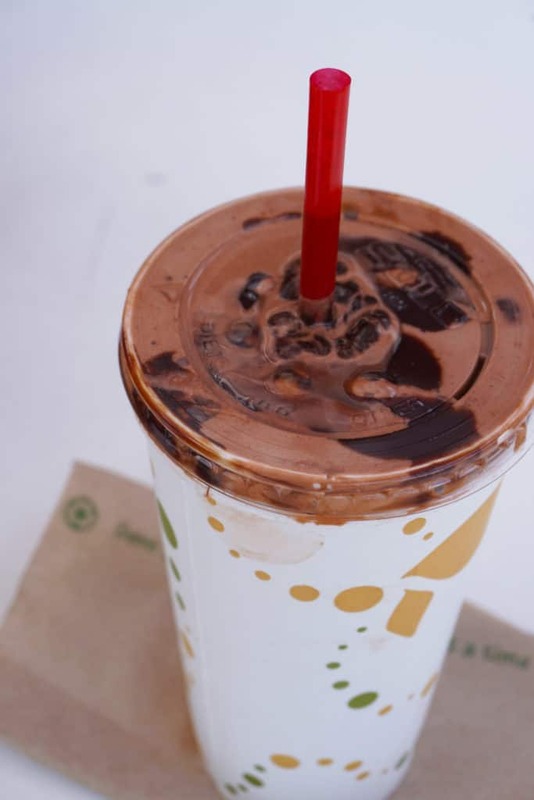 The options here are endless; from the flavors of ice cream to the way you eat it. 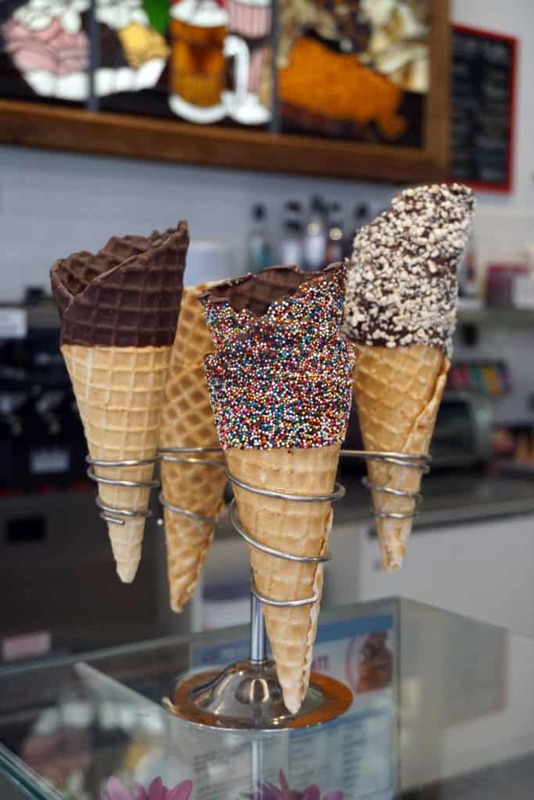 Choose a cone, or even a milkshake! Although, I hear their malts are to die for. You can even choose from an array of toppings for an ice cream sundae! 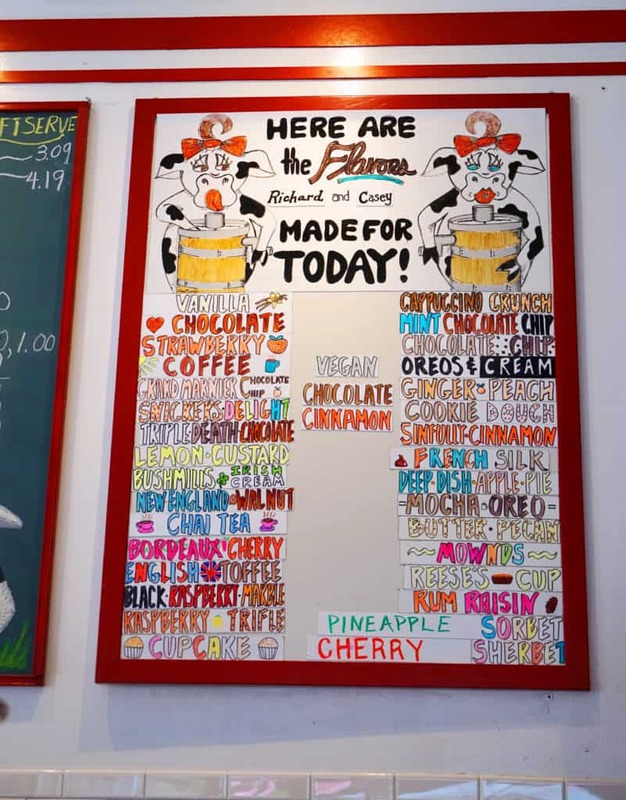 Bonnie Brae Ice Cream has been around for over 30 years, so it is safe to say they know what they’re doing. The inside has old fashioned charm with red vinyl seats although if it’s nice, take your ice cream outside and sit in the shade under a big red umbrella! Make sure to take napkins outside because it’s impossible to avoid a drip or two. And, if you’re like me, grab a bowl and spoon because a double scoop is much larger than you expect! 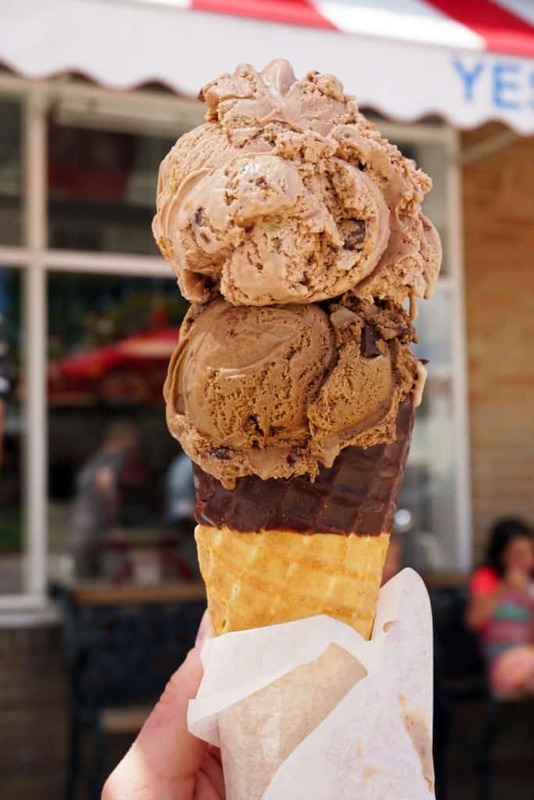 You don’t want half of your scoop to end up on the sidewalk! If you want the scooper’s recommendation, go for the “Triple Death Chocolate” flavor but if you want mine, go for the “Reese’s Cup.” Or if you’re like me, get both! Just check out the chucks of peanut butter. Love at first sight if you ask me! At Bonnie Brae Ice Cream, you can expect nothing but best from customer service to creamy ice cream made right there in the store! It doesn’t get any better than that! 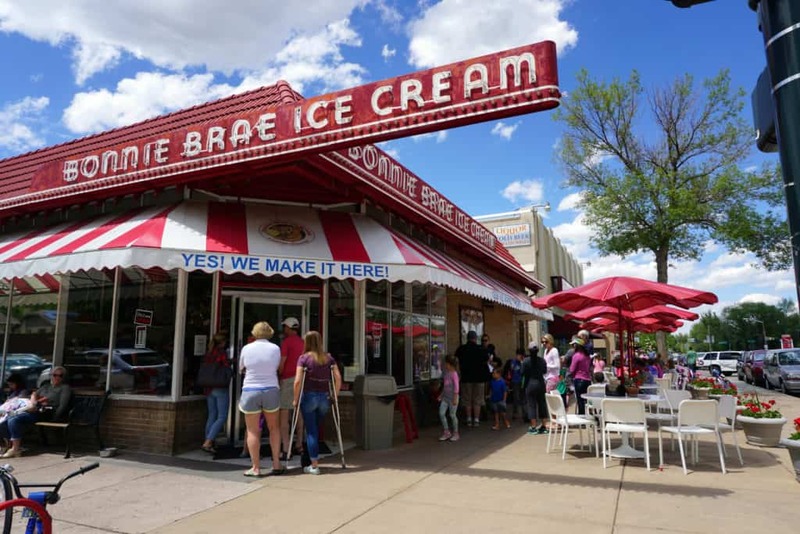 If this isn’t on your Denver ice cream bucket list, you’re doing it wrong!